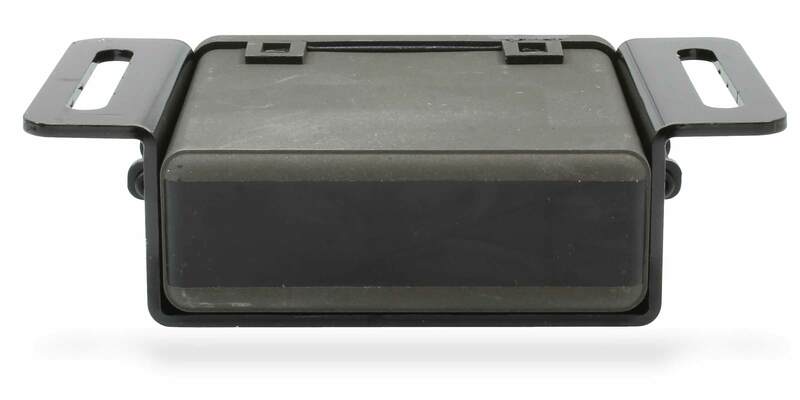 Using an array of durable sensors mounted along the undercarriage of a bus, the Rostra Student Detection System (SDS) audibly and visually alerts drivers to the presence of objects in their blind spots. Through the use of reflected radar waves generated by the SDS under-bus sensors, the system immediately detects children if they enter specified danger zones in the front, rear or sides of the bus as they board and exit. 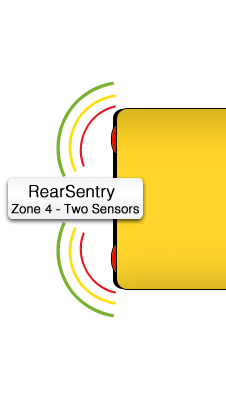 The sensors communicate the intrusion to the audio/visual display alerting the bus driver to the presence of a child. The on-screen display provides real-time information to the bus driver about the danger zones surrounding the bus. When no intrusion is detected, the image of the bus on the included LCD screen lets the driver know that the area is clear through the use of a green icon. 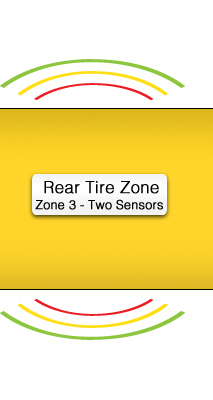 If a child or other object is detected within the danger zone, the icon flashes red while sounding an alarm informing the driver not to move the bus until the zone has been cleared. Heavy duty obstacle detection with digital microwave technology. Alerts drivers to objects in danger zone areas. Visual and adjustable audio alarm. Adjustable to match operation of the front crossing arm. Covers up to 6 main warning zones. Works in all weather conditions with no external cleaning. Automatically operational when the red warning lights are on. Automatically resets once the obstacle is no longer detected. Driver's display will show exact location of intrusion. The SDS display unit is initialized when the ignition is on. 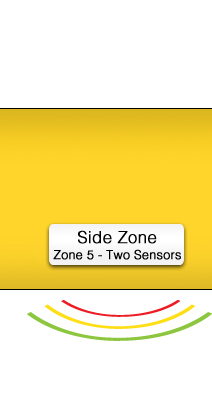 The SDS zones are activated when the bus flashers are on and the front gate is extended. The green LED on the SDS display unit will be on. When an object is detected in any of the zones, the green LED shuts off, and the red LED flashes simultaneously with an audible alarm. The system will automatically clear in 4 seconds if no intrusions are detected. The LED will go from red to green. Has microwave radar technology that works in all weather conditions. The Rostra Student Detection System was recently featured on ABC7 Eyewitness News leading up to the vote by New Jersey lawmakers to implement "Abigail's Law", requiring all new buses to be equipped with motion-activated sensors. Download our Student Detection System brochure by clicking here. The Student Detection System is a life-saving technology. We are confident that the bus drivers and parents in your school district will see the benefit in this system after a hands-on demonstration which we would be happy to provide. Please enter your contact information below and we will be in touch soon!